The downtown is relatively well-signed, and I was able to intuit the way to the library by piecing together the evidence: it’s in a cobbled-together collection of buildings a few blocks from city hall and a block from the Landskrona Theatre. Despite its multi-building-cobble, it’s a bright, pleasant library, with many nooks and crannies to explore. Among other things, I leafed through Stephen Fry’s introduction to Douglas Adams’ last book (I photocopied a particularly good page; 3 SEK, or about 50 cents Canadian), read parts of a book on calligraphy, and browsed through their good collection of graphic novels. As I wandered about I realized that the system used to organize the books was neither the Library of Congress nor the Dewey Decimal system, but something that seemed uniquely Swedish. I asked at the information desk and a helpful librarian gave me a thorough 10 minute introduction to what is called the SAB:s klassifikationssystem, the SAB being the national association of librarians in Sweden. It’s an intriguing system of letter combinations where different letters are ganged together to specify topic, chronology, language and form. 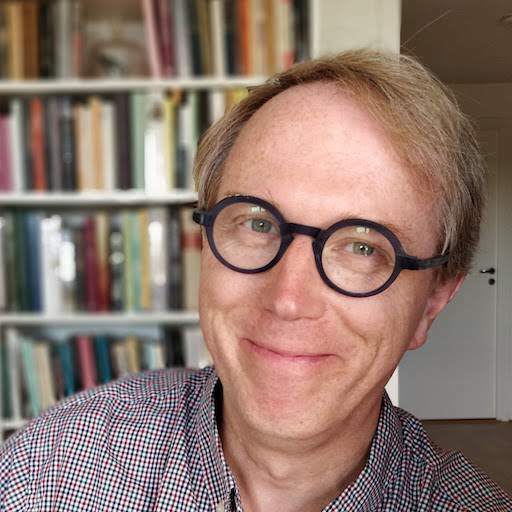 The librarian told me that it was a system developed by Swedish librarians to “represent the Swedish mindset,” which is a nice way of thinking about a cataloguing system. 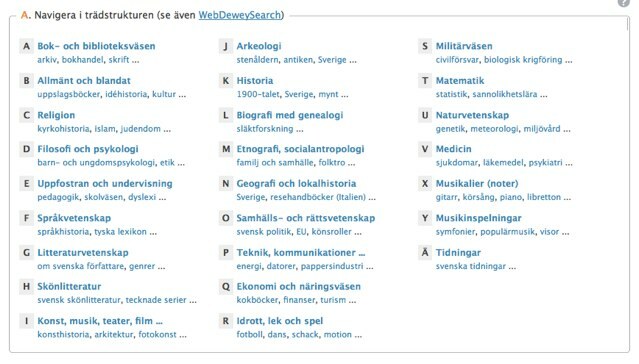 Little did I realize that I stumbled on a bibliographic hornet’s nest, however: apparently there is a movement to migrate Swedish libraries to use the Dewey system, a movement that is meeting with some resistance. Written October 23, 2013 at 6:41 p.m.